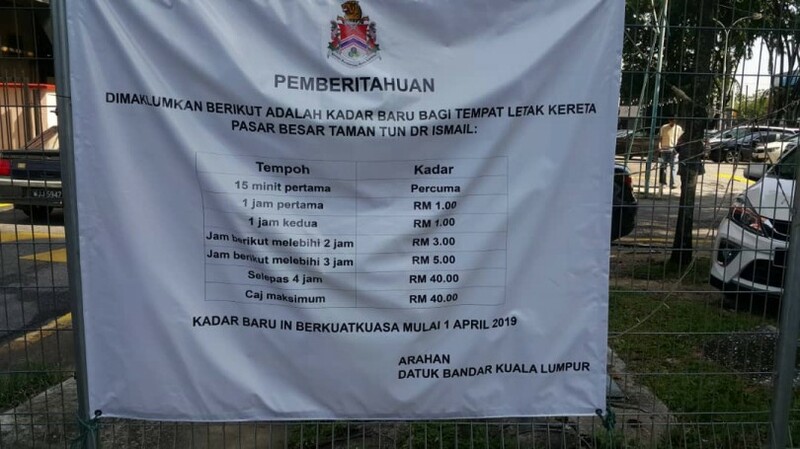 KUALA LUMPUR – April 10, 2019: Taman Tun Dr Ismail residents are relieved and happy that they can now find ample parking space at the TTDI market with the imposition of new parking rates. “Finally, we can find parking space there. It has been terrible for a long time that finding a vacant parking bay just to get on to do our marketing had been almost impossible always,” said resident, Nur Lubis. The new rate structure, which took effect on April 1 under a new management of the market – has imposed an increase from RM2 to RM5 for the third hour and a flat fee of RM40 for vehicles parked from the fifth hour onwards. The first 15 minutes is free. The flat rate of RM40 is the clincher because this will deter office workers in the neighbourhood from taking up the parking bays for the whole day, depriving market goers of parking space. This new deal was made possible with the help of Kuala Lumpur mayor Datuk Nor Hisham Ahmad Dahlan and Segambut MP Hannah Yeoh. The changes in parking rates were initiated by the TTDI Residents Association (RA) in response to the complaints from market traders and customers who had difficulty finding parking at the market on weekdays because office workers in the neighbourhood, for a long time, had their vehicles parked there through the day. This was because the previous parking operator had been offering season parking to outsiders, thus making the parking area packed. For the last 10 years, Kuala Lumpur City Hall (DBKL) had outsourced the management of the car park to companies that allowed season parking to nearby office workers who had their vehicles parked there for the whole day. Season parking bays went for RM220 per month. Double parking was even allowed in the outdoor carpark for RM10 a day. 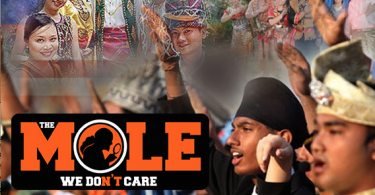 On April 1, the DBKL handed over the management of the car park to the TTDI Market Traders Association for one year. Present at the market were Yeoh, DBKL licensing and petty traders management department senior assistant director Irwan Shafari Wahab and TTDI Market Traders Association chairman Jenny Loo at the market. Also present was TTDI RA chairman Hafiz Abu Bakar. Loo was reported to have said the traders had suffered about 30 per cent losses because of the lack of parking space.